In this post, we are going to have look on steps creation of Standby Database From OEM 13c Cloud Control. 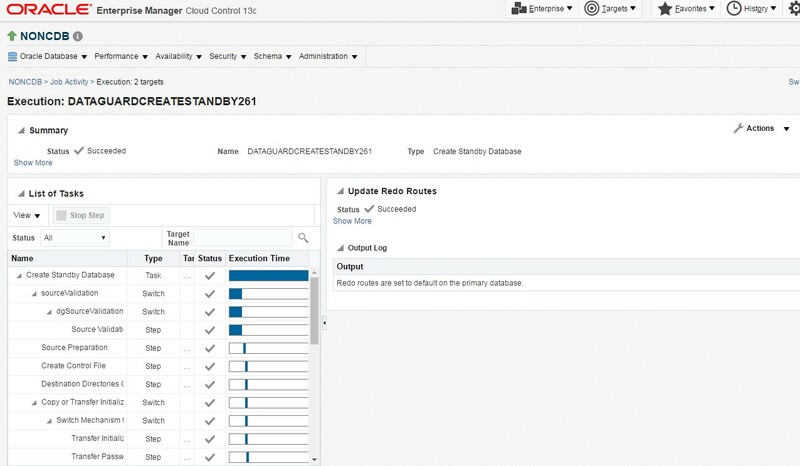 Creating or adding standby database for an existing primary database is a matter of few clicks in OEM 13c cloud control. Source database is already registered in cloud control. An agent is deployed target host. Oracle binary is installed on target host ( same version and patch–set of source DB). Now standby database is ready. You can check the details in a database.